Japanese Martial Arts are some of the most iconic martial arts. They include Karate, Aikido, Jujutsu, Judo, Kenpo, Kenjutsu and our art Ninjutsu. Their history traces to the Samurai and Ninja of Japan. They connect to the feudal era of Japan. During this time Japan was embroiled in civil war. Due to their birth out of conflict these arts are extremely effective. Consequently this was the perfect environment to create some of the world’s most deadly martial arts. The Japanese culture is also very unique. Their culture of perfectionism and history of Buddhism gives these a spiritual quality. Because of this, as Japan entered a time of peace many Martial Arts were preserved for their spiritual value. Todai Bujinkan Dojo is a Japanese Martial Arts school. We believe in maintaining this connection to its heritage. Hence, we travel regularly to Japan to study from the masters themselves. Try a class for free and experience authentic Japanese Martial Arts training. Japanese Martial Arts are just one of the many types of martial arts available. Teaching a Japanese Martial Art entails exposing students to Japan’s culture as well, since it heavily influences the method of training. Training, Rank Promotion and…Mr. Miyagi? 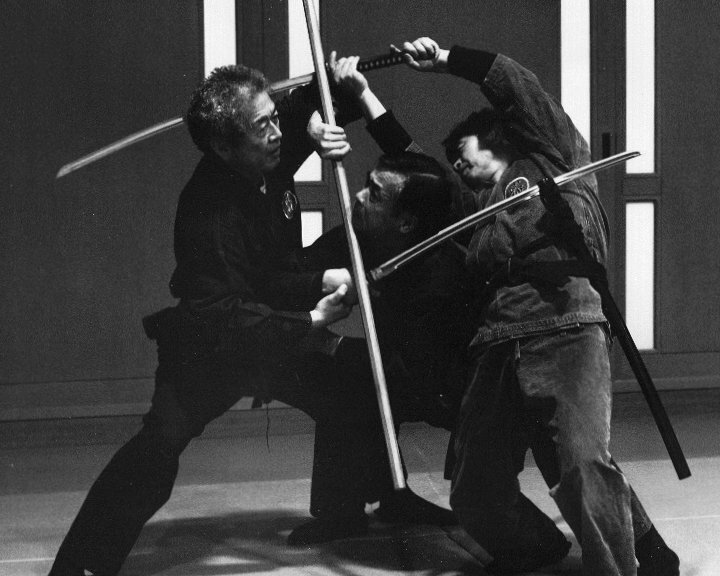 There are considered 3 phases of training in Bujinkan Ninjutsu (and most Japanese Martial Arts) – “Shu, Ha & Ri”. These phases focus on what the intention and the approach of the student should be towards their training at a particular level.